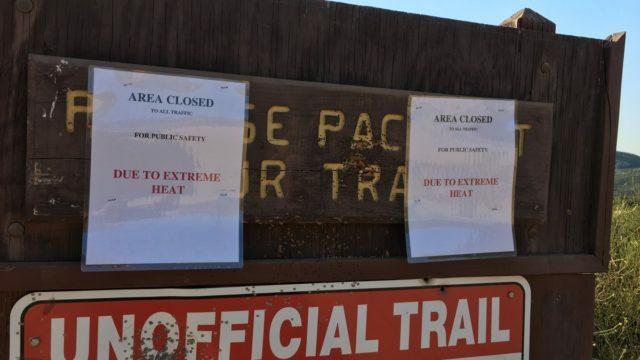 The U.S. Forest Service on Tuesday announced an emergency closure of the Three Sisters and Cedar Creek Falls areas, to be in effect until Monday due to safety concerns related to an anticipated heat wave. “The road and trail system leading to both Three Sisters and Cedar Creek falls are very challenging under normal conditions, but with extreme heat, the area becomes dangerous,” according to a Forest Service statement. Heat stroke results in several fatalities per year in those areas, according to the Forest Service. Hundreds of people also require medical services or air rescues each year. The heat wave is expected to peak on Friday. The weather service is predicting highs in the upper 80s along the coast and over 100 in inland areas such as Escondido, Ramona and Alpine. Mountain communities will see temperatures in the mid 90s. Borrego Springs in the desert is expected to hit 119 degrees. 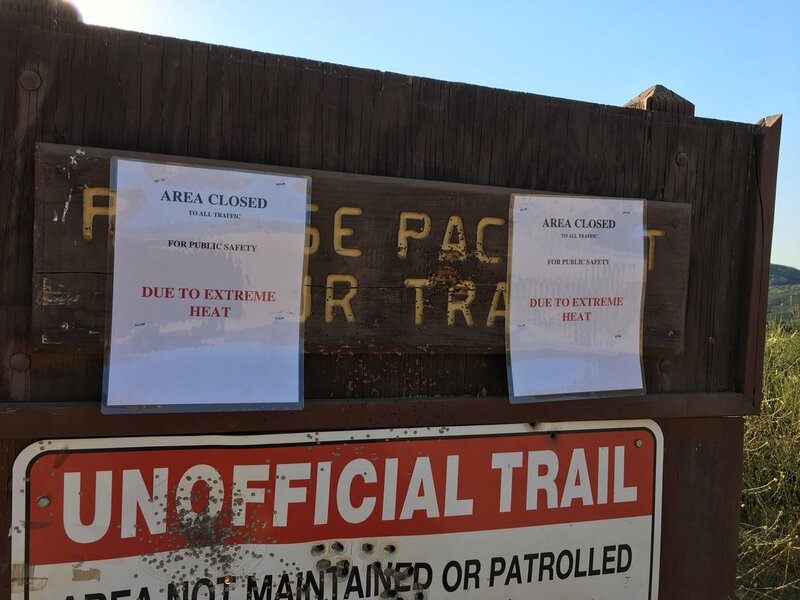 Emergency trail closures are often implemented when temperatures are expected to exceed 95 degrees. Additional closures are expected through the summer.